Currently my free-time is quite tight and I have do a lot of other stuff but once in a while I try to read a good book. As you might have realised most of them were related to golf in the last months. So is the one that I’m currently reading. It’s Kenny Reid’s “A Major Obsession” and it’s quite an extensive report of his endeavour to follow all four golf majors in one year on-site. In his case in 2009 he went to Augusta to follow Angel Cabrera’s win, to Bethpage (Black) for the US Open with Lucas Glover winning over there, to The Open Championship (aka British Open) in Turnberry to see Stewart Cink lifting the Claret Jug and to Hazeltine for the PGA Championship in order to see Y.E. Yang winning the beautiful Wanamaker Trophy. Scotsman Reid travelled all the way to these tournaments and as a massive golf fan he had much fun around the course and as well off the course. He gives the reader a broad picture about what’s happening from Wednesdays to Sundays on these famous courses and must have taken notes all the time to remember all that what he’s describing that elaborately. Following his words, it’s almost like watching it on TV and in addition everthing is enriched with funny stories about spectators, people that he met in the near-by hotels and about walking-around, respectively travelling challenges. As I fancy professional golf as well, being pretty much interested in everything around the European Tour or the PGA Tour, it was a great read to feel the impressive mood of a major tournament. Up to now I’ve been to one tournament only and this year’s BMW PGA Championship at Wentworth will be the second. But reading about patrons (spectators) at Augusta National or the usual fans at US Opens, I really can’t wait for the moment I get the chance to be there as well. I was very close once: last year I’ve been to the Wednesday practice session of the US Open at the Olympic Club in San Francisco. I was travelling with my girlfriend and we didn’t have much time (as we wanted to make our way south to the Pebble Beach area) so my time there was rather short but hey, let’s call it a start. Anyways, if you are following the major tournaments as well and golf is really your sport then you should consider reading this book for sure. Rating: B+ because it provides everything you’d expect from a report of 4 consecutive major tournaments, but on the other hand it’s not one of these books that you can’t put aside because it’s too exciting… that’s definitely not the case. If you follow this blog, you might have realised that I have little time to play golf currently but started to read a lot golf books lately. I’ve put aside all books on finance, economics and the credit crunch and started to appreciate to read about golf a lot. Not only to kill some time but as well to find some ideas for my own book and probably learn something for my golf game as well. This book here was next on my list. Tom Cox writes about more or less dropping out of his job as a writer and starting play golf on a professional tour. Neither on the European Tour, nor on the Challenge Tour but at least on the third-tier EuroPro Tour. He played a lot in his youth, quite well even but not as good as to survive on a pro tour. At some point in his life he decides to roll back the drop-out from golf and to start make it a living. 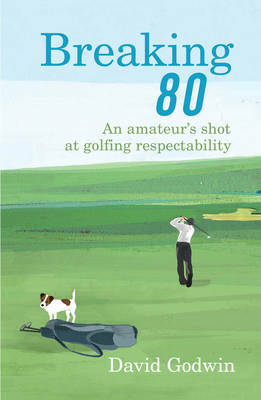 It’s definitely worth the read, quite funny here and there but not at all ‘the funniest book about golf ever written’ as advertised. But that’s OK. It’s interesting to read what challenges one face on the tour and how players have to adopt their lives under pressure to win tournaments and to play this beautiful sport not for fun but for a living. Rating: B- because it’s very well written but not as funny as expected. You should read it anyways. 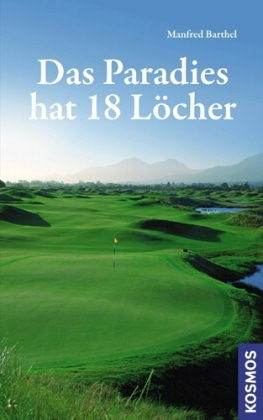 Unless you’re German speaking this title doesn’t make any sense to you, but the translation would be something like “There are 18 holes in paradise”. What a wonderful title for a book that is! I bought this hardcover book and had it in my book shelf for quite a while. To be honest I can’t remember where and when I actually bought it but just recently I had the feeling it’s about time to start and finish it (which I did like 3 weeks ago). The book is written by German Manfred Barthel and is a quick 180 pages read. 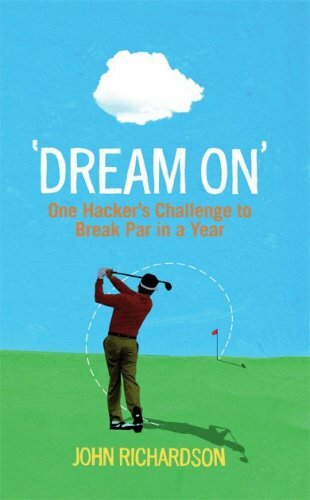 As you could sense it’s devided in 18 chapters and every chapter deals with a specific golf related topic. To be frank it’s more or less dedicated to golf beginners rather than industry insiders. Chapters contain some funny stories about all what’s related to golf – be it equipment, professional players, training and so forth. Due to the language not a book for everybody, but definitely something you Germans should consider to buy (and read) if you’re in the process (like me) to keep up with good books about this beautiful sport. There are definitely some anecdotes mentioned in the book that you haven’t heard of I would bet. 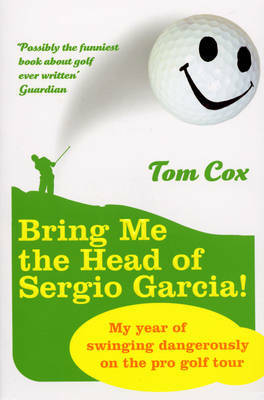 Next two books on my reading list (making my way through my golf book stack next to my bed): “The Big Miss” about Tiger Woods and “Bring me the Head of Sergio Garcia”. Stay tuned! Looking forward to it! I’m pretty new to golf literature but recently it hit me and I got myself 8 books from a local book store that looked pretty interesting at a first glance. Excluding two German books on golf, the first one I read that’s called “Breaking 80” and some golf photography books, this is one of the first books I read in printed format – except of loads of golf magazines for sure. But let me just jump right into it. The book that I finished two days ago was one of the books I bought in a stack. It’s called “Dream on” written by John Richardson and is an autobiography. John explains his challenge to get from hardly playing at all and shooting around 100 to a par round; from scratch to scratch. And the time frame he has set himself – believe it or not – is 365 days only! John seems to be quite a reflective person and is not only only focussing on the techniques of golf but as well on the mental part and tricks that helped him to cope with problems around the course or difficult holes and lies. Normally I’m not interested in this mental role of golf but in this context it was very interesting and not too much for my liking. The book is well written and I really enjoyed reading it. Once again I used time in the tube and on the plane and it created a pleasant time to read about that kind of tough target a private person set himself. I have targets as well but none of these are that 100 per cent important to me that I would risk job and family life. John tried to practise in the lunch breaks and during the night after he put his kids to bed…. what a commitment! Interesting to read, recommend it.